If you missed out on Cyber Monday deals, don’t worry because there’s still a tonne of items on sale. 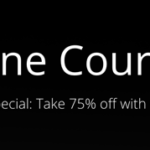 If you thought Cyber Monday was over, think again, as these new coupon codes take an extra 40-75% off apps, software and online courses in our Deals Store. 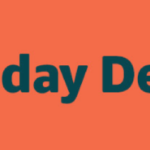 Amazon has announced Cyber Monday was a record-breaking day for the company. 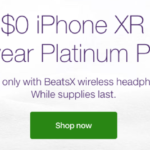 Here’s a Cyber Monday offer from Telus, offering iPhone XR for $0 on a $110/10GB plan. 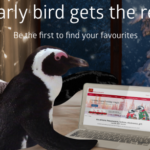 If you collect CIBC Rewards points, there’s a redemption sale on Apple products and more. 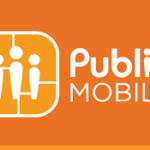 Here’s a sale from Public Mobile for Cyber Monday offering up to $60 worth of credits. 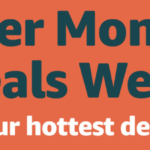 Here is an ongoing list of all of Amazon Canada’s Cyber Monday Deals for 2018. 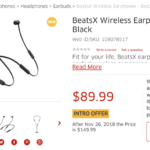 If you’re looking for BeatsX wireless earphones, The Source has them on sale for $89.99. Telus has some discounts available for EPP plans–check with your employer. Walmart has some gift card bonuses on new Koodo activations in-store. 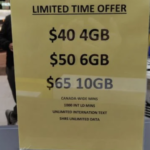 Looks like a Fido and Koodo are offering new Black Friday calling plans, with a $65/10GB plan available. 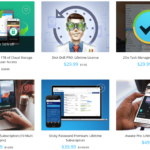 Here’s a roundup of some of the biggest savings on popular apps, software and online courses in our Deals Store.